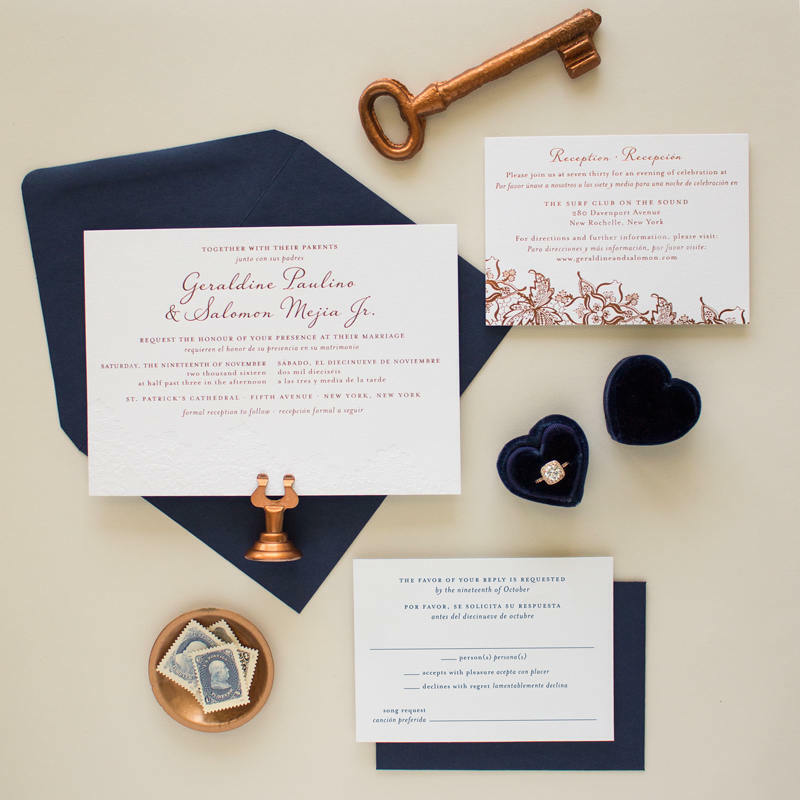 These copper foil stamped wedding invitations feature blind impress lace and navy accents. 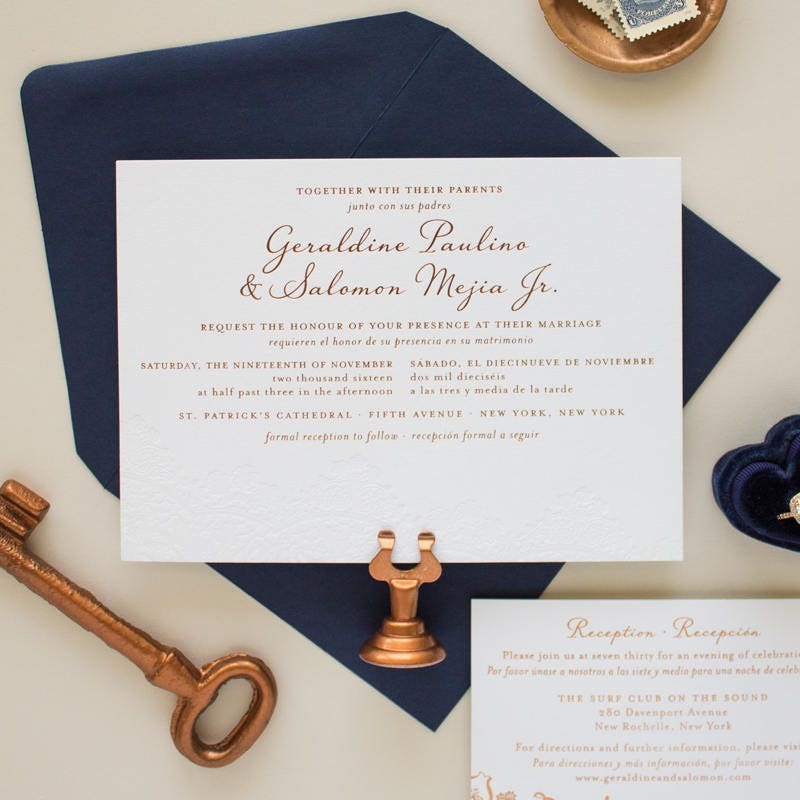 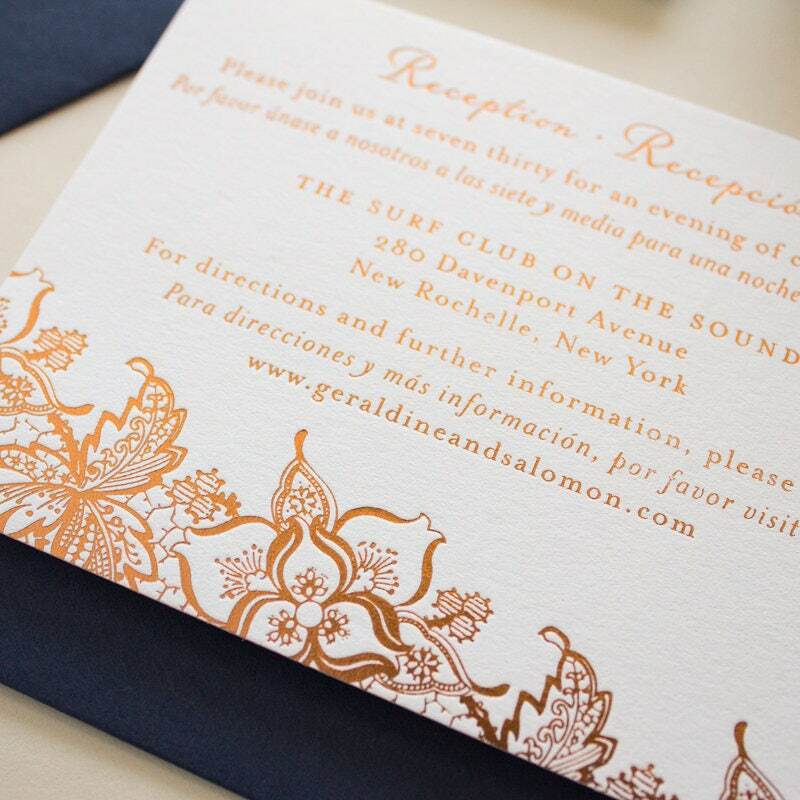 Featured in copper and navy, these foil stamp and letterpress invitations are also available in gold foil and navy. 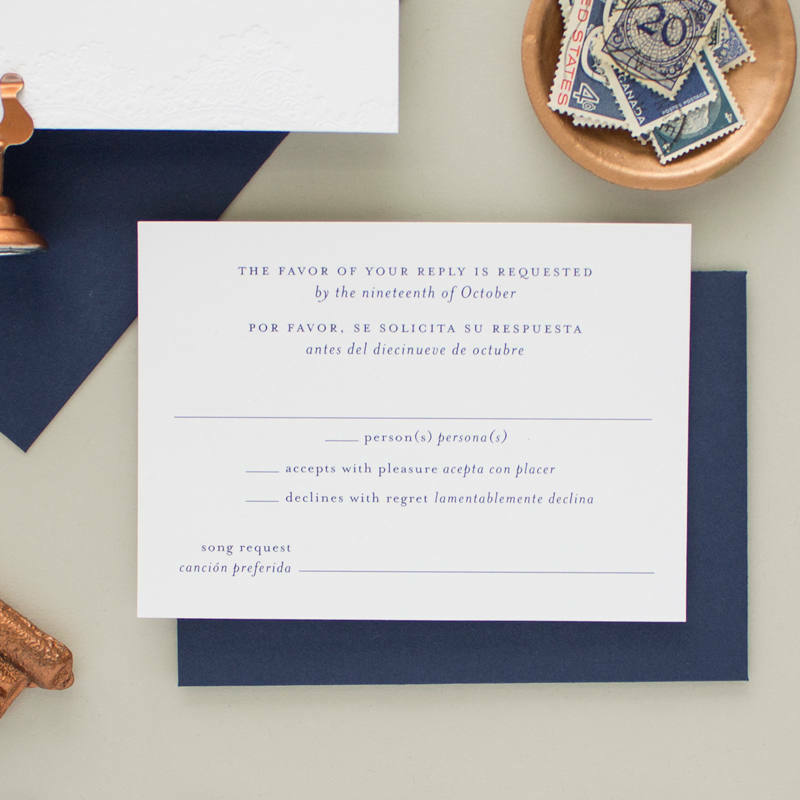 (Blind letterpress is done with no ink and just impression for a subtle romantic invite. ) 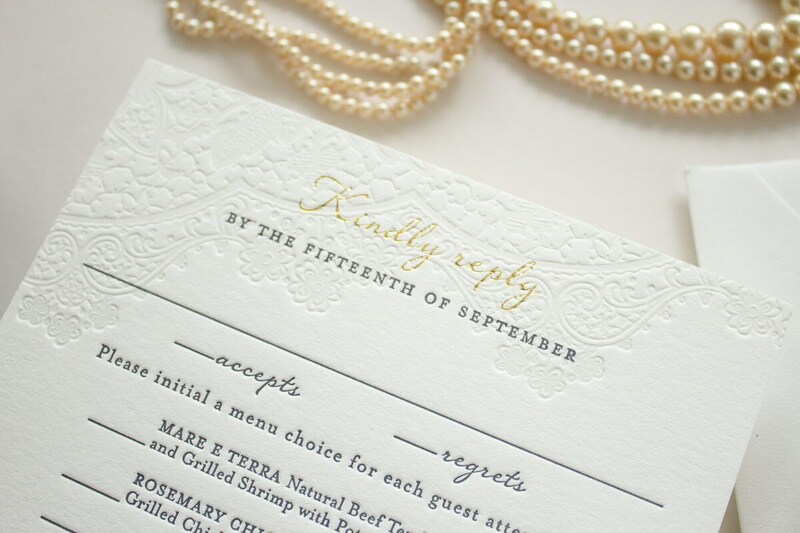 Letterpress samples are not personalized and are sent with the colors and wording shown. 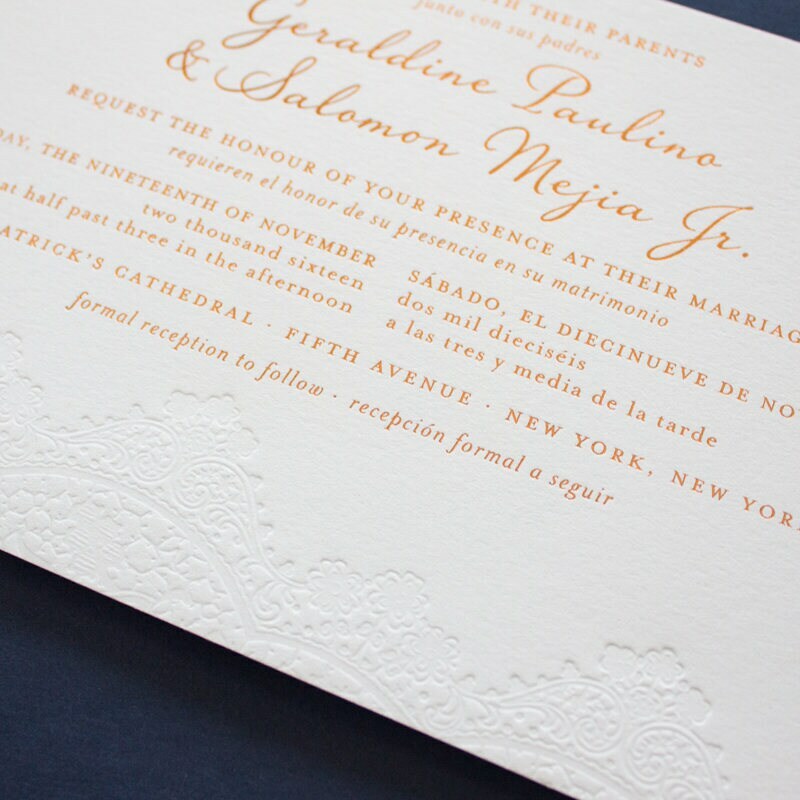 This listing is for a SAMPLE of the Harmonious wedding invitation. 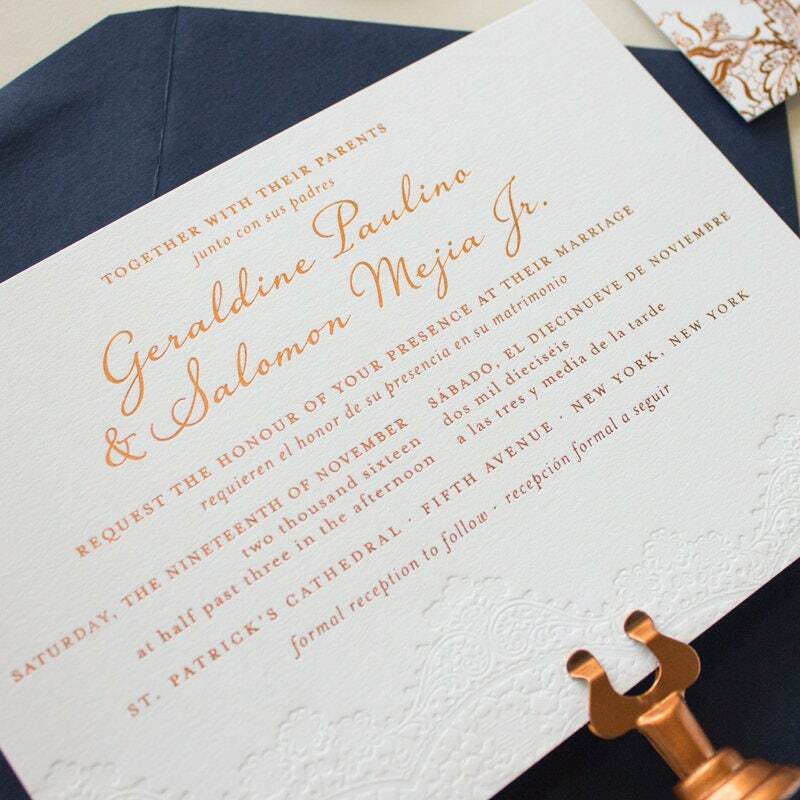 *Please note that samples are pulled from current orders and may feature different wording and fonts. 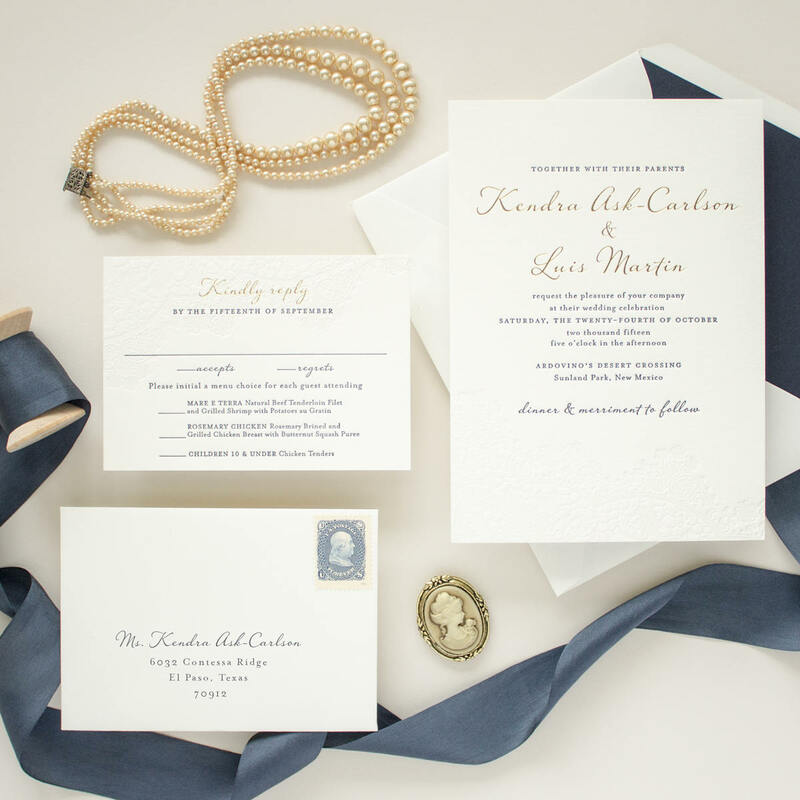 Samples ship via USPS first class mail within 1-2 business day of purchase.